Yeah, it's sort of a contradiction for someone of my politics to be so interested in the creations of technological society, but so be it. Life has contradictions. Plus, the technologies I'm most interested in are the "obsolete" ones that are simpler to understand, build, and repair. That is the sort of technology that will survive when our mega-civilization collapses. 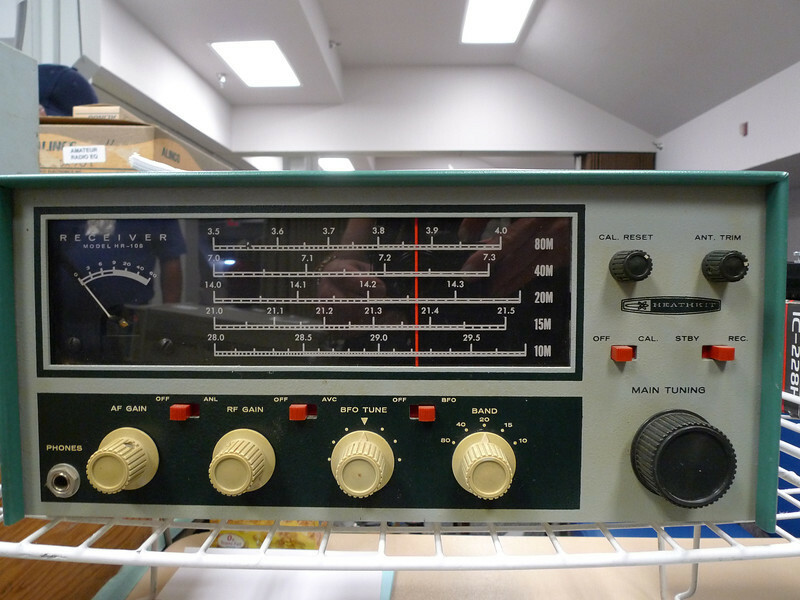 I had a Heathkit receiver as my first short-wave radio. It was not the same model as this (it was about 10 years newer), but it had a vaguely similar look. I could tell this was a Heath product when it first caught the corner of my eye.